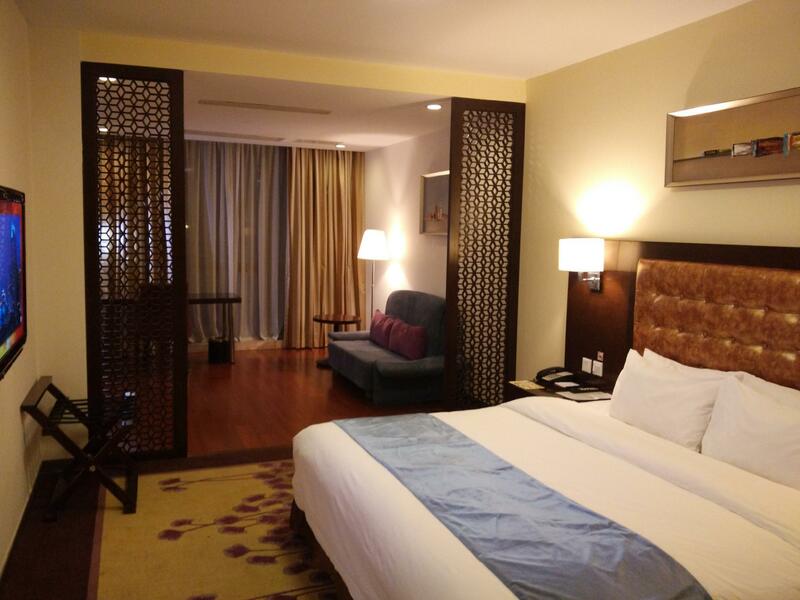 Ada pertanyaan untuk Benjoy Hotel Shanghai Jinqiao Branch? 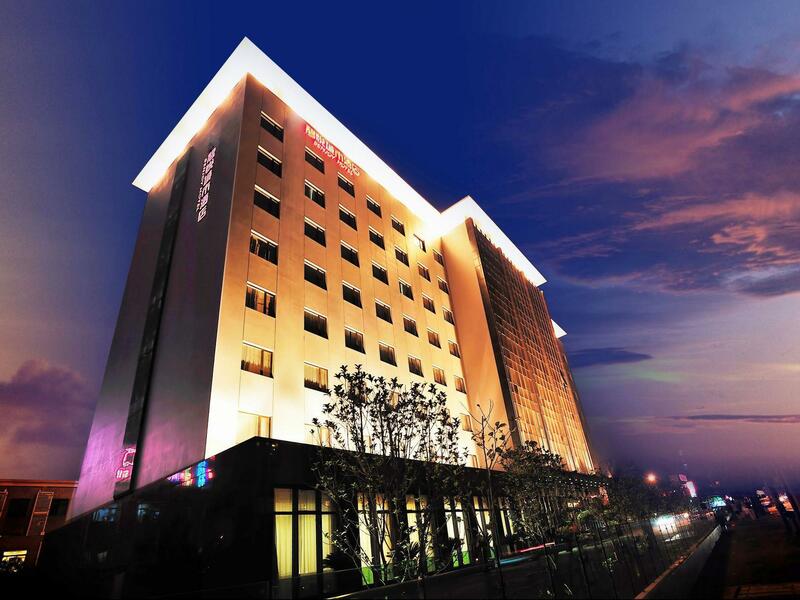 Jika apa yang Anda cari adalah hotel yang terletak strategis di Shanghai, carilah Benjoy Hotel Shanghai Jinqiao Branch. Dari sini, para tamu dapat menikmati akses mudah ke semua hal yang dapat ditemukan di sebuah kota yang aktif ini. Bagi Anda yang ingin berjalan-jalan, JinYang Lu ShangYeJie (JinYang Lu), ZaoZhuang Lu XiuXian Jie, Golden Bridge international business Plaza hanyalah beberapa dari obyek wisata yang tersedia bagi para pengunjung. 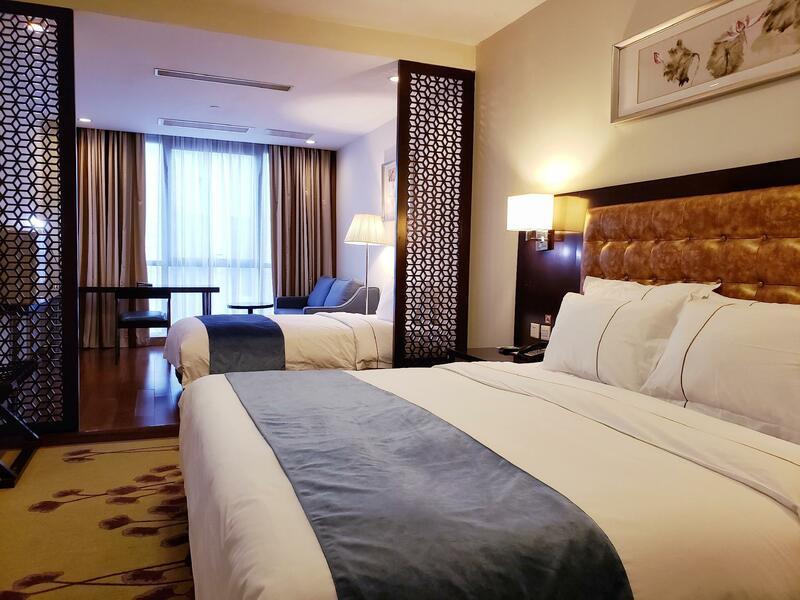 Di Benjoy Hotel Shanghai Jinqiao Branch, pelayanan istimewa dan fasilitas yang unggul akan membuat pengalaman menginap Anda tidak terlupakan. Untuk kenyamanan para tamu, hotel ini menawarkan WiFi gratis di semua kamar, resepsionis 24 jam, fasilitas untuk tamu dengan kebutuhan khusus, Wi-fi di tempat umum, parkir valet. Para tamu dapat memilih dari 231 kamar yang semuanya dilengkapi dengan suasana yang tenang dan harmonis. Disamping itu, hotel memiliki berbagai pilihan fasilitas rekreasi yang menjamin Anda melakukan bermacam hal selama menginap. Ketika Anda mencari penginapan yang nyaman di Shanghai, jadikanlah Benjoy Hotel Shanghai Jinqiao Branch rumah Anda ketika Anda berlibur. Ini merupakan properti bebas asap rokok. Para tamu bertanggung jawab atas segala biaya, kerusakan, dan kewajiban lainnya yang disebabkan oleh tindakan merokok. Ukuran kamar cukup besar, nyaman, layanan staff hotel baik. 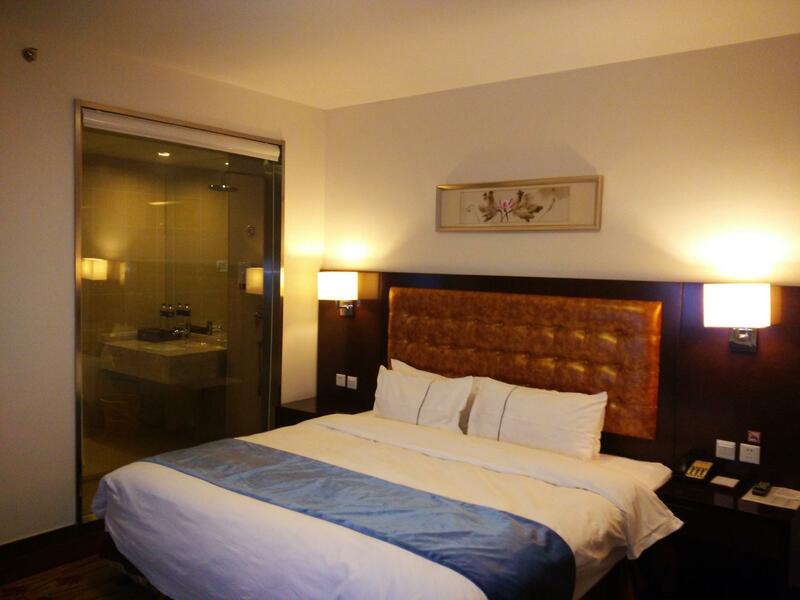 Location: 15min away from Jinqiao road station and Taierzhuang station on foot. It is overall just mediocre hotel. I have booked non-smoking room, however, by the time I got back from work the whole floor was filled with smell of smoking.. The breakfast is just okay.. limited variety of fruits.. I havent touched othr dishes but fruits and cereal. The staff was very helpful and nice. I checked out in the middle of night time and the staff helped me with taking a taxi. I feel very grateful for that. 1. Price is very affordable who want to enjoy 4 star hotel comfort by spending lesser money. 2. Breakfast is good for the foreigners. Everything was nice during my stay at that hotel except following things: 1. Insufficient lighting in the room & Bathroom. 2. Very difficult to find any answer from front desk due to lack of English language. 2. Area is not suitable for those who enjoy shopping. If you dont have chinese phone number, You can not use WiFi. other things are so so. My first room upon check in was absolutely horrible. It smelled of smoke even though I reserved a nonsmoking room. The shower floor and wall was covered in mold, the carpet looked as though it had never been vacuumed. Front desk advised they had no other rooms available that night but would be able to move me to another room the next day. I actually slept with my smog mask on. The second room that I moved to the next day was much cleaner. No cigarette smoke smell and the shower and carpet was much cleaner. The location is kind of far from downtown and about a 15 minute walk to the nearest metro. I was aware of this when booking but was staying there to be close to my friends apartment. Lobby and outside have nice appearance. Breakfast was decent. I made the booking being thought that the Exhibition center is near this hotel. unfortunately the exhibition was in Shanghai Hongqiao new exhibition and convention center. I forced to stay here. Near by roads closed because of Road works. Hotel cleanliness,Room comfort and staff performance. Hotel room is OK but I am taking a long time(around 90 minutes) to check in to room because HOTEL is not received a comfirmation(FAX) from Agoda, is it Agoda problem or Hotel itself issued never know , hopefully it must be improved with a well communication between Hotel and Agoda and this kind of incident is NOT a first time to me. I checked as early as 9 am without additional cost and the staff was helpful to locate the destination that I intended to go. There are many shops and restaurant nearby. No air condition during my staying in this hotel. no one care about us. I enjoyed my stay there, however, hotel has to review their early check out policy and make it clear to customers. 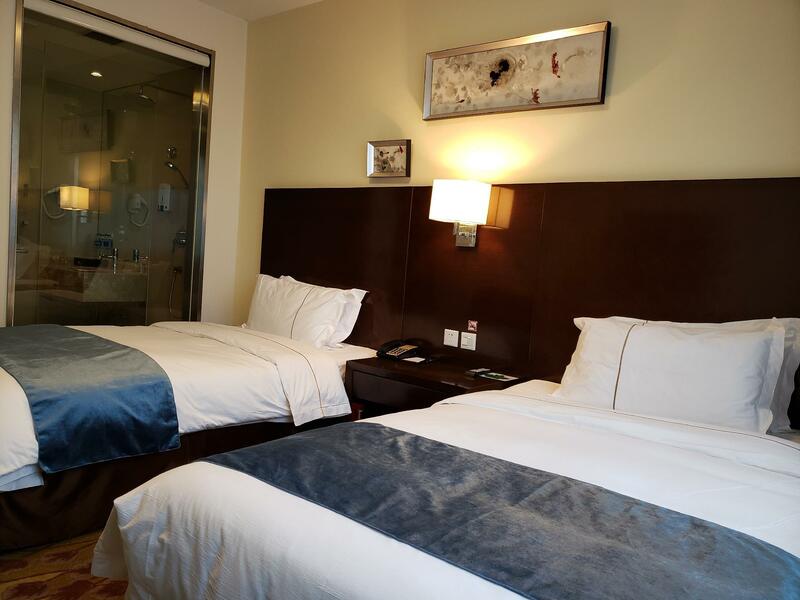 A nice hotel in a good location pretty close to a good area of international bars and restaurants. Good price and clean comfortable rooms. Good location but road works going on. Stay was good, Good food and friendly staff. A good clean hotel with friendly English speaking staff in a good location. Price is also good for a hotel of this standard.